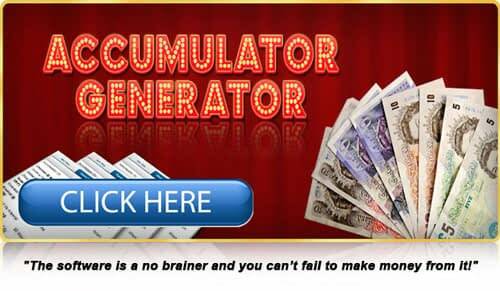 Football accumulators are very popular with punters because it's possible to win big amounts of money from small stakes. However, big acca wins are really difficult to land. There always seems to be a 'home banker' that lets you down and your potential life-changing profit goes down the drain. Every so often, somebody beats the odds and emerges victorious. They leave a bookmaker thousands of pounds out of pocket in a stunning victory for the punters, though the bookies have still made a tidy profit overall from all the losing bets. The bookies then release a story to the press about how they were taken for so much money. Today though, we'll focus on the winners and 10 of the biggest football accumulator wins to date. Having already suffered a stuttering start to the 2015/16 Premier League campaign, the game appeared out of Everton’s reach when Saido Berahino scored just before half-time, before Craig Dawson doubled the lead early on in the second-half to give West Brom Albion a 2 goal cushion with just 35 minutes left to play. Those moments would have been particularly tough for William Hill punter Kyle Jordan, 30, who had placed a six-fold accumulator on Liverpool to Beat Aston Villa, Reading to beat Burnley, Cardiff to beat Charlton, Bury to beat Coventry, Sheffield United to beat Doncaster and West Everton to beat West Brom, with both teams scoring in each game. Five had been played and five had been won, but Everton’s shortcomings appeared likely to have cost the anonymous better a whopping £45,000 on his £5 punt. However, Romelu Lukaku pulled one back soon after Dawson’s goal to offer some hope, before Arouna Koné equalised with 15 minutes still to play. A draw wouldn’t have been enough to save the bet, but another last-gasp goal from Lukaku completed the stunning comeback, providing Mr Jordan with the funds to jet him and his family off to America. One anonymous Betfair customer must’ve been feeling really lucky when he placed a £49.50 accumulator on 22 matches towards the back end of the 2015/16 season. The 30,303/1 punt offered an astonishing return of £1,500,000 if the mystery punter could hold his nerve throughout. They appeared to be doing just that as game after game went their way. Queens Park Rangers had scored deep into extra-time to keep his luck intact, while Manchester City came from behind to beat West Brom. Yet, with just 15 minutes to go until Barcelona kicked off their La Liga clash against Real Sociedad, a game that the highflying giants would surely win, the 20-something year old seemed to have an epiphany, cashing out for a small portion of the money that he was set to bag. Real Socieadad's victory over Barcelona could have cost the punter £1.5 million. With Barcelona falling to just their second defeat in 25 matches, the £53,000 that he received was much better than the £0 return that would have resulted had he stuck it out. Kyle Jordan’s £45,000 is chump change compared to the amounts that some people have won on their football accumulators. Just seven months earlier expecting father Dean Clay, 48, scooped a massive £92,000 on a 14 team bet. The daring better had placed the bet on 13 games to be played on the Saturday back in February 2015. Despite nearly falling to an unfortunate defeat, a 93rd minute Southampton goal made 13 of his 14 predictions correct going into Sunday’s final game. With just West Brom vs Burnley left to play, in which Mr Clay had backed the draw, he later admitted that he was too nervous to sit and watch the game. Instead, he opted to go and play a round of golf until the final whistle was blown. With West Brom falling two goals behind early on, the nervous punter’s luck appeared to be running out. However, much to his delight, The Baggies managed to turn things around before the final whistle. Better yet, Clay originally thought that he had won just £69,000, until those at Coral handed him a cool £92,000, courtesy of a bonus that the bookmakers were running at the time - an unexpected bonus on top of an unexpected bonus. George Wood, 22, was so confident of his 10-match accumulator paying off that he splashed £17,000 of his prize money on a new Renault Megane a week before the final fixture was played. Having recently been diagnosed with MS, Wood was in need of a boost and Manchester City’s 5-1 victory over Bournemouth gave him just that back in October 2015. The ninth game on his list, Paris Saint-Germain vs Marseille, had ended in victory on October 4, but he would have to wait until October 17 for the Premier League side to confirm his big win. Wood promised to spend his winnings wisely, investing in stocks and setting up a business, as well as taking his son to Disneyland and splashing £1,000 on another accumulator with a potential £200,000 return - we can only assume that he didn’t get quite as lucky the second time round. An anonymous 33-year-old from Cambridgeshire could quite possibly be the luckiest man alive, after he scooped a massive £170,000 within a week of placing his very first bet. The lucky punter had opened an account with bookmakers William Hill to try and earn some money to put into a savings account for his five month old son, and it didn’t take long for him to ensure that his child will have a decent head start to life, after placing just eight bets in total. The punter later admitted that he had no idea that he had won such a large sum of money, only realising when he logged into his account to check the results. It’s probably lucky that he wasn’t following each game, as Leyton Orient came within seconds of blowing it until Dean Cox scored late on. Leicester City’s 2015/16 Premier League title win came as a shock to everybody. 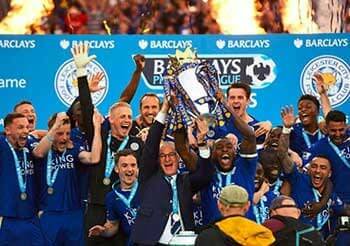 While most football fans were more than happy to see the underdogs emerge victorious from what was a topsy-turvy season, bookmakers were left red-faced after offering odds of 5,000/1 against The Foxes before the campaign commenced. The blunder is said to have cost the bookies close to £20 million in won bets - the biggest ever single market payout in betting history. Had less people opted to cash-out for reduced profits, Leicester City’s triumph would have cost the bookmakers a whole lot more. Leicester City emerged as champions in 2015/16. One cool-headed punter, who chose to remain anonymous following his victory, did stick it out to the very end, winning a massive £200,000. Had they placed the bet at the start of the season, they would have bagged a cool half a million. However, the wager came in October, two months into the campaign when the bookmakers had (sort of) corrected their error and dropped the odds to 2000/1. Placing £100 on the unexpected victors was still a massive gamble, but ultimately one that paid off, as the anonymous punter emerged with one of the biggest payouts in betting history. 2011 got off to a flying start for one lucky punter, as he scooped a massive £272,000 from a £2.50 bet, which bookmakers Ladbrokes confirmed to be the largest payout in their history. The mystery better had placed a nine-match accumulator which successfully predicted underdog victories for the likes of Wolverhampton Wanderers and Blackburn Rovers, before concluding with a draw between Athletic Bilbao and Barcelona in the Copa del Rey Round of 16. Given Lionel Messi, Andres Iniesta and Xavi had just finished in first, second and third place for the 2010 FIFA Ballon d’Or award and Barcelona were cruising to the La Liga title, betting against the club sailing to yet another victory was extremely risky. With the game drawing to a close and Barcelona’ holding on to their 1-0 lead, the unfortunate punter’s hopes of a massive payout appeared to be all but over. That is, until Fernando Llorente popped up in the 85th minute to level the score. It didn’t change much for Bilbao, as Barcelona progressed to the quarter-finals on away goals, but it did make one spectator a quarter of a million pounds richer. The 2000/01 season was decent enough for Manchester United, as they scooped their third consecutive Premier League title, which was also their seventh top flight title since the competition was rebranded in 1992, nine years earlier. The dominant club weren’t quite so lucky in Europe, as Germany giants Bayern Munich knocked them out of the Champions League at the quarter-finals stage. However, for one lucky Red Devils fan, Bayern’s progression made the season so much better. The unidentified fan had placed a 15-event accumulator in August 2000, before the season had kicked off. With a stake of just 30p, the punter didn’t appear to have much faith in the bet paying off, yet with odds of 1.66 million to one, not much of a wager was needed to generate one of the biggest football payouts of all time. Having correctly predicted the winners of the top five English leagues, three Scottish divisions, the Rugby Union champions and the cricket County Championship winners, it was down to Bayern Munich to win the Champions League and confirm the massive win. With the game going to penalties, it was one of few times that an Englishman was happy to see the Germans scoring from the spot. One lucky punter had one key rule in his betting strategy - never place a wager of more than €1 each time. All it took was one moment of luck for it to all pay off. The anonymous football fan from a small village in Malta had placed a 19-match accumulator via the William Hill website, with the final game to be played between Premier League rivals Chelsea and Liverpool. That weekend in November 2011 had gone largely as expected, with the favourites taking the spoils in the vast majority of the games played. With Chelsea favourites, things didn’t look good going into the match. Liverpool scored midway through the first-half, before Daniel Sturridge levelled following the break. The game appeared to be heading for a draw, until former-England right-back Glen Johnson popped up with three minutes left to play to score what proved to be a £585,000 goal. 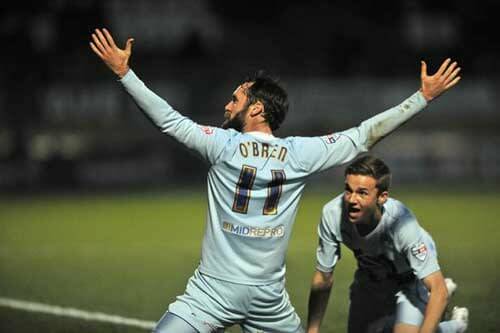 Johnson's late goal earned one lucky bettor more than half a million pounds. According to William Hill, the lucky victor wasn’t a Liverpool fan before kick-off, but he was by the time the final whistle was blown! Predicting eight match outcomes correctly is impressive, but predicting eight results while the games are already in play takes it to a whole new level. Even more so as the punter splashed £100 on teams that were already losing! For this lucky Londoner it certainly paid off, as he scooped the biggest accumulator win in the history of the sport. The wager consisted of eight games which had just 20 minutes left to play, including a draw for West Ham (2-0 down to Stoke), Charlton to draw with Sheffield Wednesday (in a game they were losing) and the same for Coventry in their match against Leyton Orient. Having predicted a draw between Fulham and Wigan, the latter went ahead with just eight minutes remaining and, with an extra man on the field, appeared likely to secure the victory - until Bryan Ruiz levelled from the spot with just two minutes to play to keep the hopeful punt alive. Jim O'Brien scored to earn one punter a unbelievable £650,000 return. After a number of twists and turns it appeared likely that Coventry City, 2-1 down against Leyton Orient, would be the only side to let him down - until Jim O’Brien struck in the 91st minute to confirm the draw and earn one ballsy better an unbelievable £650,000. Not a bad return for just 20 nerve-wracking minutes and the biggest football accumulator win ever.